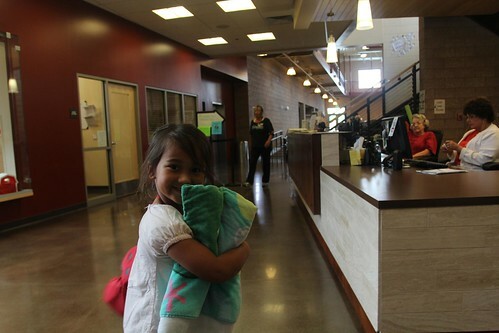 Mali Mish - Day 12: Fruita Community Recreation Center. This morning we took a little trip into Grand Junction. Fruita is a small town about 10 miles west of it and there are lots more shopping and service options there. We are headed east on I-70 over the Rockies on Saturday and Marlene has been fretting the drive over the Rockies. 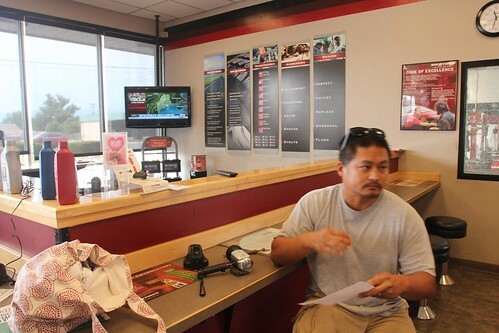 We wanted to be as prepared as we can so off to the brake shop we go to get them checked out. Turns out the stock brake pads are darn near indestructible. I have about 55,000 miles on the van and the pads are still at 80%. With another maintenance job done and behind us, we headed back to Fruita. We are taking the girls to an awesome swimming pool today. 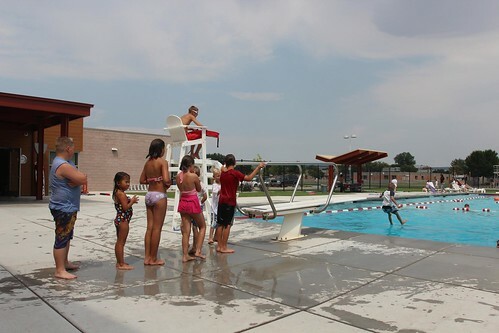 Fruita has a new and amazing community recreation center. It is a town of just over 12,000 people and they are part of the larger Grand Junction Metropolitan area. 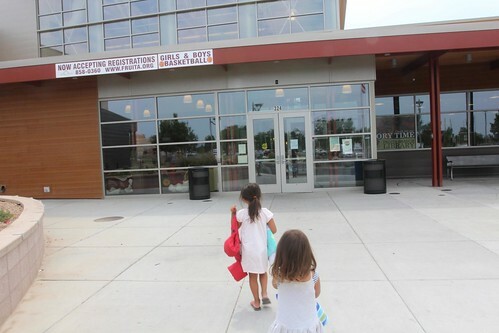 Opened just a year ago in January of 2011, this is a state of the art facility owned and operated by the city. We came yesterday to check this place out and Ava has been asking to come here ever since. 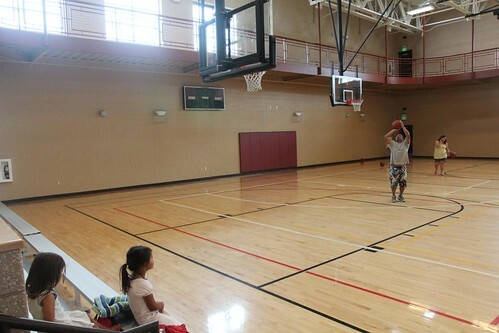 Besides the swimming pools, this community center also offers basketball courts, indoor track, elliptical machines, weight rooms and a 7,000 sq-ft public library. At the fee of $6 per adult and $3 per child, it is a bargain. 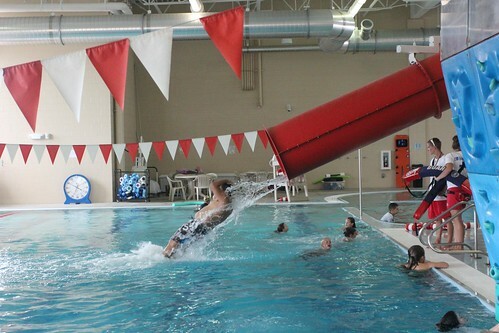 Check out the indoor pool facility. It is quite amazing. 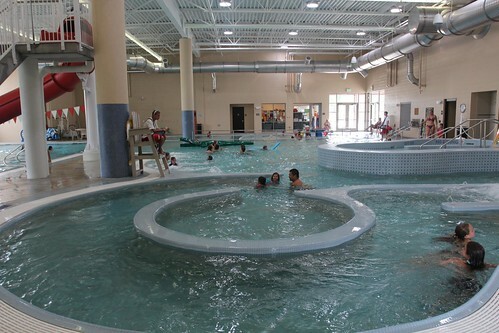 There are multiple sections of the pool all interconnected together. 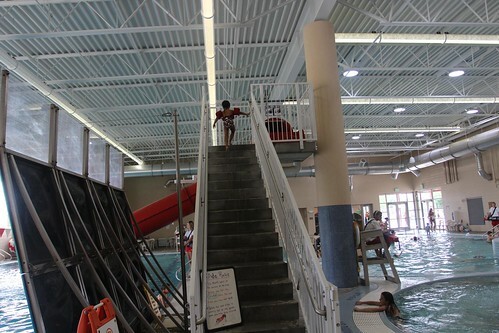 There is even a water slide! 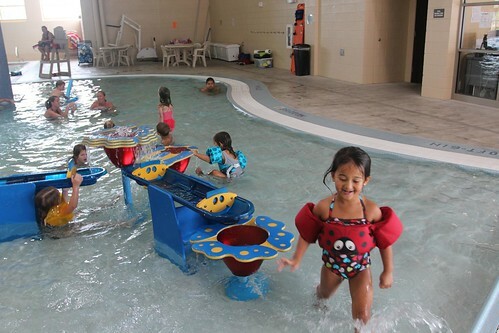 For the little swimmers like Mila, a small splash area with shallow water is also available. Mila had a great time playing in the water. The best part is that this whole pool is heated and indoors so we didn’t even have to put sunscreen on these waterbabies. I may have also taken advantage of the water slide a little bit. 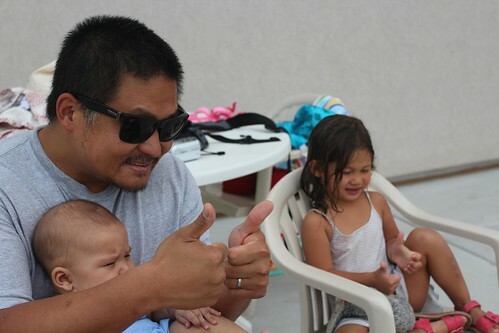 This was a great opportunity for Luka to try the pool out for his first time. Even though we spent a whole week poolside in Vegas a couple of weeks ago, the sun and the heat wasn’t ideal for his sensitive skin. He doesn’t quite understand why this bath tub is so big. 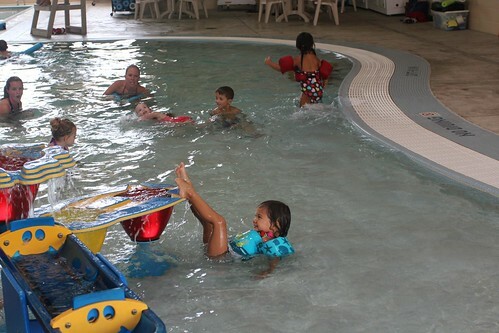 There is also an outdoor pool that is open during the summer months. During the last few days of our stay in San Pedro with Marlene’s parents, Ava got into watching America’s Funniest Home Videos with Marlene’s mom. 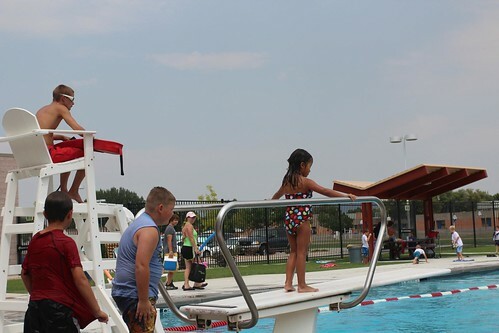 She remembers that people are always hurting themselves on the diving board but for some reason, it made her want to try it herself that much more. 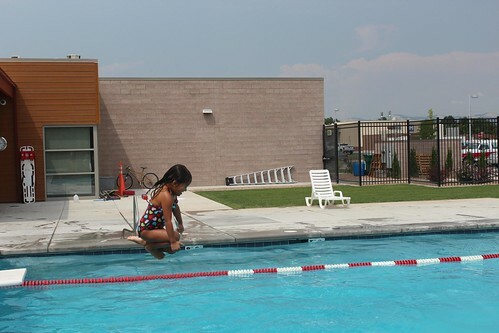 Here she goes on her first trip down a diving board. Hope her performance doesn’t land her on TV.